While Boston was getting pounded by snow, I had the opportunity to head a little ways south where I got to visit NYC analytics startup Chartbeat. My hosts were Account Executive and BC Alum Andrew Oddo and Head of Talent Cat Hernandez. The company itself creates sleek dashboards and monitoring tools that help publishing companies visualize in real time what stories, topics, and key words are performing best at any given moment. The immediacy of the information and insights allows its customers to act upon it in real time to tweak headlines or social stories and see real time results. The companies tools also help to build a social strategy and the company is constantly evolving to find new ways to help its customers. I had the opportunity to tour the offices and to see some of the dashboards in action. Not only were they useful and intuitive, but the design was super sleek and eye friendly…just seeing them made me want to buy the product! It is no wonder that even though the company is still a relatively young startup, it boasts a customer base that includes many of the biggest names in publishing including Time, NBC Universal, and Forbes. Even cooler than the products themselves, however, is the company’s culture. Like most startups, the company is young and positive on the whole, it has the obligatory games and kitchen, and of course its people are entrepreneurial. What really struck me, however, was the description of the company as having a Learning culture. Just about every company wants employees to learn of course, but these guys really live and breathe that mantra. They try to move people into new positions outside their comfort zones, and encourage the pursuit of interests even if they are outside of the person’s normal functional role. 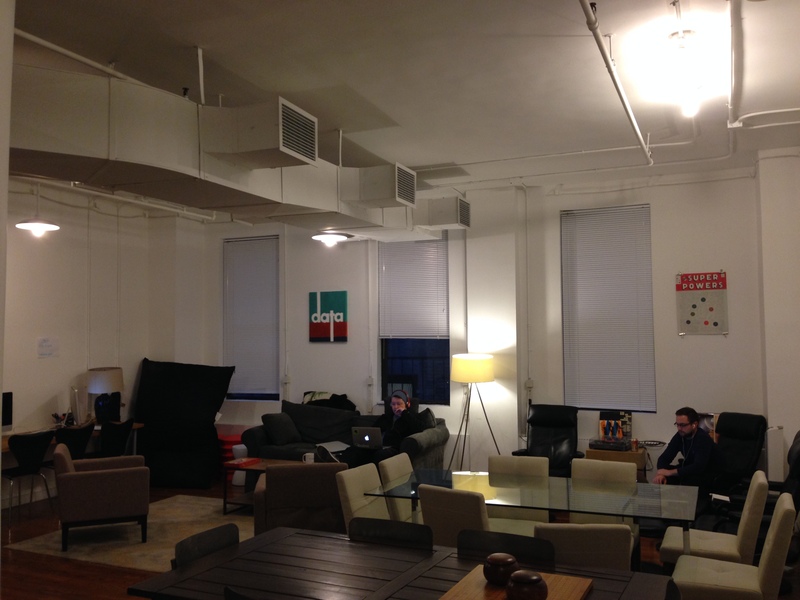 When it comes to learning, Chartbeat puts its money where its mouth is, or at least where its office is. Located directly above the Strand Bookstore, employees are just an elevator ride away from 18 miles of books where they can spend the $30/month the company gives them specifically for reading material. It’s always great to meet fellow Eagles doing cool things in the Tech space and I am grateful to Andrew and Cat for hosting me at Chartbeat. 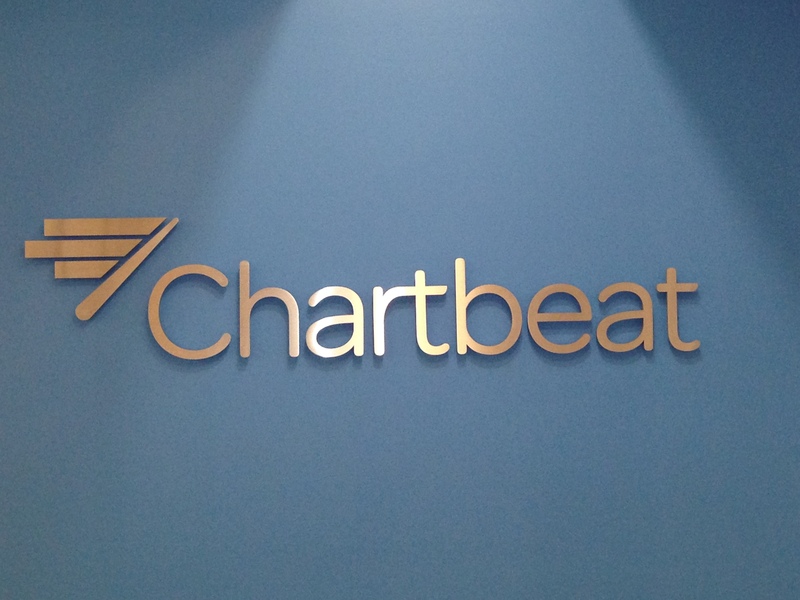 Check them out http://www.chartbeat.com. Not only do they do really cool stuff but they are growing like crazy!